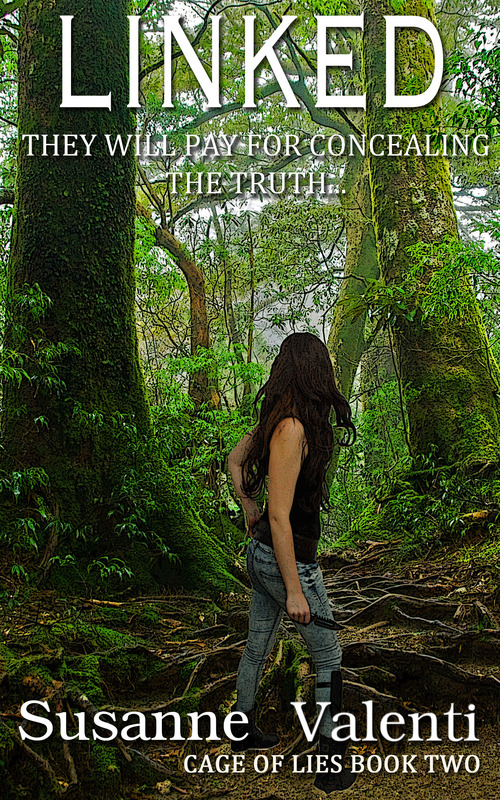 So today I get the super exciting oppertunity of helping susannevalenti reveal the cover for the second book in her NEW Dystopian saga Cage of Lies!!!! The first book in the saga ‘Chained’ is available to buy NOW on Amazon for only £1.99 GBP which is an absolute BARGIN!!! If your unsure if this book is for you please check out my ‘ARC Review – CHAINED by Susanne Valenti’ and I’m pretty sure you’ll decide to go get this book!!! ~ I literally did not put this book down (apart from when sleeping of course sadly I do not have reading whilst sleeping abilities). AND NOW…. THE EXCITING BIT…. I would like to give a HUGE thankyou to Susanne for allowing me to be a part of your Cover Reveal!!!! I CANNOT WAIT FOR LINKED!!!! !